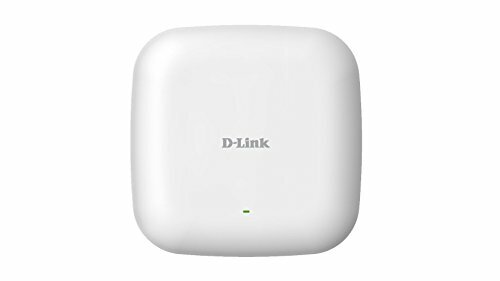 The DAP-2610 wireless access point delivers reliable, high-speed wireless performance using the latest 802.11ac Wave 2 standard with maximum wireless signal rates of up to 400 Mbps (256-QAM) over the 2.4 GHz band, and 900 Mbps over the 5 GHz band. It ships with a low profile mounting base, enabling easy installation on any wall or ceiling. It also includes adapter clips for attaching to suspended ceiling T-rails. This high-speed access point can be AC powered using the (included) AC/DC adapter, or for advanced installations, it has integrated 802.3af Power over Ethernet (PoE) support, allowing installation in areas where power outlets are not readily accessible. LIMITED LIFETIME WARRANTY - Void when not purchased from Authorized US D-Link Reseller.